No other gift can be more appropriate for a United States defence man then this classy US MARSHAL Badge W/GIFT BOX. This is a high quality silver finish metal gift box that comes in perfect round design. 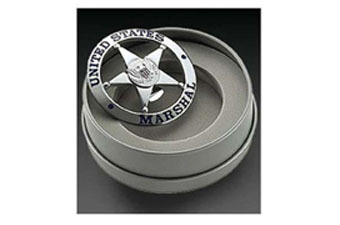 The round lid opens to showcase a round stainless metal Unites States Marshal badge hosed inside the round metal case. 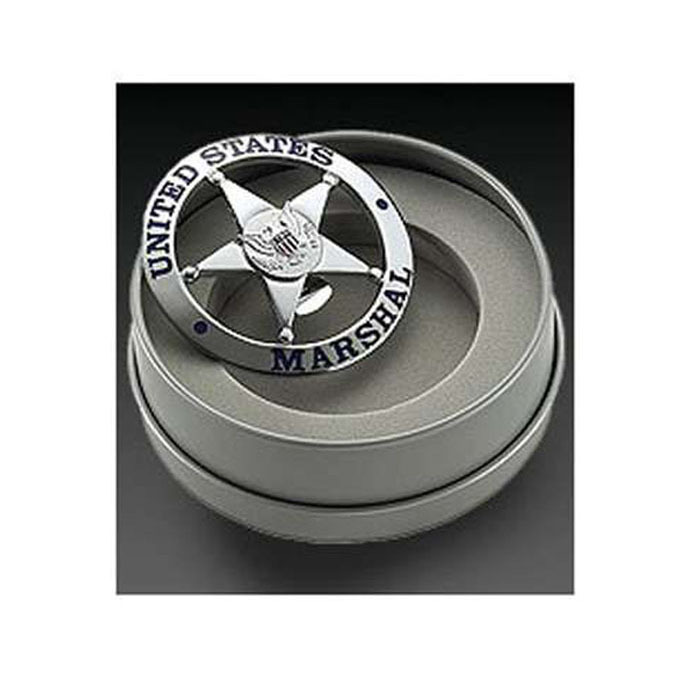 The spherical badge displays a conventional US MARSHAL emblem engraved in a central star with a circular rim engraved with US MARSHAL.